My name is Thibaud Chatillon. 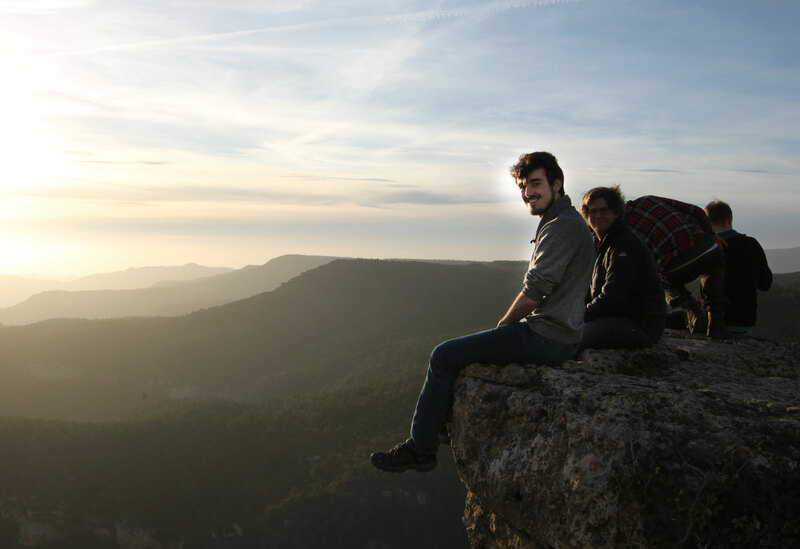 I am an Erasmus student from France and I study physical geography, focusing on climatology. Since I’m young, I wanted to travel and discover new countries and cultures. When I was given an opportunity to experience something different during my studies, I took it right away. I do not live the typical Erasmus-student life with going out drinking and dancing often, and having a lot of international friends. My life as an Erasmus student is full of Swedish friends whom I have met during my courses. We’ve had a chance to get to know each other during our field studies in northern Sweden, Spain, and China. I spend my free time working out and being with friends. I also like films, comic strips and music. I also wanted to improve my English, so I didn’t want to travel to countries where there was a high risk I would spend a lot of time with other French students. I was also interested in a country in which it would be interesting to study physical geography. That is the main reason why I chose Sweden. But I also chose Sweden because we French don’t know that much about the country or about Scandinavia generally. We know that it’s in northern Europe, we are familiar with IKEA and Volvo, and we know it’s cold. But I hadn’t heard much more about Sweden, so I wanted to see it with my own eyes. Because it was the only city that was linked to my university at home in France. Obviously I could have demanded to be allowed to choose a different city, but I thought it was a good idea to be close to the ocean yet not too far north where it gets cold, and to be in a fairly large city. What are the differences between studying in Sweden and studying in France? In Sweden we take one course for one or two months, do an exam at the end, and then start on a new course. In France we take four or five courses at the same time for one term and all of the exams are taken at the end of the courses. The Swedish way of taking courses is much better. In France, I might start cramming a week before the exam, but my knowledge would fade over time. In Sweden, since you only study one thing at a time, you learn the subject much better. Here we also have more seminars and presentations for which we have to do our own preparation, which is a much more efficient way to learn than just sitting and listening to the teacher. In Sweden there are even more courses available in geography and more freedom of choice than in France. In France things are very traditional: you complete secondary school, you get an undergraduate degree, you get a master’s, and then you get a job. Very few students take breaks in their studies. In the geography programme in France you don’t get any choices either. There are only the required courses. At the beginning of my stay in Sweden I was extremely surprised by the age range of the students in my class. But it’s really nice that way, as everyone can share their different experiences. Thibaud Chatillon, France, exchange student, physical geography. What did you study before? I studied geography and before that, biology, for one year. I was actually only going to stay in Sweden for 10 months, but I decided to do my entire master’s programme here because the programme here is better. I have applied for the master’s programme in environmental science starting this autumn, and my second choice is the master’s programme in geoscience.